Patients trust their doctors and hospitals to provide good care. They have a right to trust, because doctors and hospitals must provide good care that complies with medical standards set by their own profession. When medical malpractice causes personal injury, disease or death, patients and families need an attorney who has the experience, ability, and resources to take on the doctors and hospitals who have the motivation and resources to avoid responsibility. L. Lamar Armstrong, Jr. has the experience and ability to be Strong for You and make those who malpractice pay for the damage they cause. For over 30 years, Eastern North Carolina personal injury attorney L. Lamar Armstrong Jr. has litigated medical malpractice cases. Lamar will be glad to speak with you about your claim. When doctors and other health care professionals treat patients, they must act according to acceptable medical standards of care. Each medical specialty has standards and rules its members must follow in the care and treatment of patients. When a medical provider fails to follow the required standard of care and the patient suffers serious personal injury or death as a result, a claim can be brought against the medical provider for malpractice. Malpractice may include surgical errors, improper treatment, failure to diagnose, misdiagnoses and failure to warn patients of known risks. 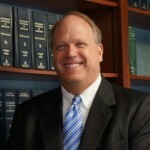 Medical malpractice cases are very difficult for many reasons. Medical professionals often deny responsibility and claim they did not violate medical standards of care. Large insurance companies that insure doctors and other medical providers generally are unwilling to discuss early settlements and require that injured patients hire experts and prove their claims. Malpractice claims simply cannot be resolved quickly or easily. Someone seeking justice for harm caused by medical malpractice must have an experienced and skilled attorney who has tried these cases to handle the complex tasks involved in your claim. 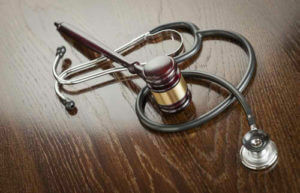 These tasks always include locating, retaining, and working with expert witnesses who must provide opinions that the doctor or other medical provider indeed violated medical standards of care. As a litigator for over three decades, Lamar’s vast experience helps him guide clients through each step of complicated medical malpractice claims. Permanent disability, with future damages like those above. Like other personal injury claimants, malpractice victims have a limited amount of time to file a lawsuit. However, because malpractice claims require review by experts prior to filing, substantial work must be done well prior to filing any lawsuit. Therefore, you cannot wait to take action. Contact our Eastern North Carolina Medical Malpractice Attorney if you believe you are a malpractice victim. We will obtain some information from you and if it appears you may have a claim, we will schedule a free consultation for you to meet with Lamar.